Wood is one of the oldest, environmentally sustainable construction materials. Approximately 90% of all residential and 11% of non-residential structures in the United States are built using sawn lumber and engineered wood products. These modern engineered wood systems require specialized design and materials’ specification knowledge. A recent survey (Cramer, 2011) indicated that slightly over 50% of Civil Engineering programs offer a wood design course. The survey suggested the some of the likely reasons for Universities not offering wood design courses are a lack of faculty or expertise in the area and a general belief that wood design is too similar to steel and concrete and thus does not justify separate course. The lack of available expertise and faculty in the area of wood engineering can be traced to historically limited US research opportunities related to wood design. This, over time, has produced a scarcity of university faculty interested and proficient in wood engineering. Consequently, the US lags behind Canada and Europe in wood design innovation and availability of human resources to effectively teach the subject. Recently, in the United Kingdom, a 9-story wood building was constructed using cross-lamintaed timber, an engineered wood material that has been used in Europe for the last 15 years but has yet to make it into standard construction practices in the US. There has been a growing world recognition of the sustainability of wood as a structural material and also its carbon negative impact on the environment. Canada with its vast forestry industry and wood resources is actively leading the efforts in promoting what they refer to as worldwide “Culture of Wood”. In 2009, British Columbia adopted Wood First Initiative: This initiative requires that wood is considered as the primary building material in all new publicly-funded buildings in accordance with applicable building codes. This first step in Canada’s facilitation of the wood use action plan is also spilling into the United States. The Northwest states are debating similar initiatives. 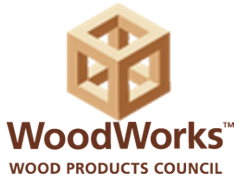 In February of 2008, the Wood Products Council (WPC), a cooperative venture of the major wood associations in North America in partnership with research organizations and government agencies, launched WoodWorks. This initiative was designed to support the use of wood in non-residential building applications. The WoodWorks initiative was formed with the intent to provide a one-stop access to the widest possible range of information on the use of wood in non-residential structures to design professionals. In July of 2008, WoodWorks announced an educational partnership with California State Polytechnic University Pomona and provided a seed investment grant to fund and create Wood Education Institute (WEI) program. This pilot program is a virtual learning model intended to assist in offering wood education for undergraduate, graduate, and continuing education programs nationwide. The WEI has been working on developing educational content that focuses on undergraduate programs interested in offering a course in wood design and continuous it’s effort to develop content for graduate students and continuing education for design professionals. For content delivery WEI collaborates with NEES (Network of Earthquake Engineering Simulations). The undergraduate blended courses are offered through NEES academy powered by the NEEShub infrastructure. 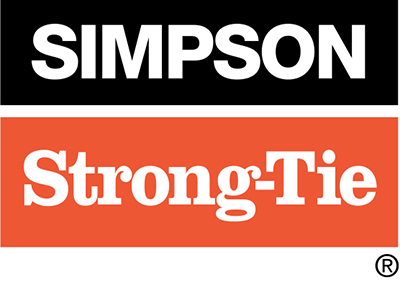 Copyright © 2015 Wood Education Institute.